My husband and I cannon balled into parenthood when we unexpectedly and spontaneously welcomed two sets of twins two and a half years apart. Read on to learn more about how IT TRANSFORMED our lives in the most AWESOME WAY and how what I’ve experienced and learned as a result can help you do the same. My favorite shot from the Dove Real Beauty Campaign. Losing my hair to alopecia is one of the best curve balls life has thrown at me. Read on to learn more about how becoming bald gave me more freedom than I ever had with hair. Having spent 10 years as a high school educator and championship winning basketball coach and the last 4 as an entrepreneur, guiding, supporting and uplifting others is IN MY BLOOD. It's what I do and who I am. It's not something I picked up randomly. I've practiced and honed my skills in it in various capacities ( online and offline), with a variety of age groups ( kinder through adults) and topics of focus. 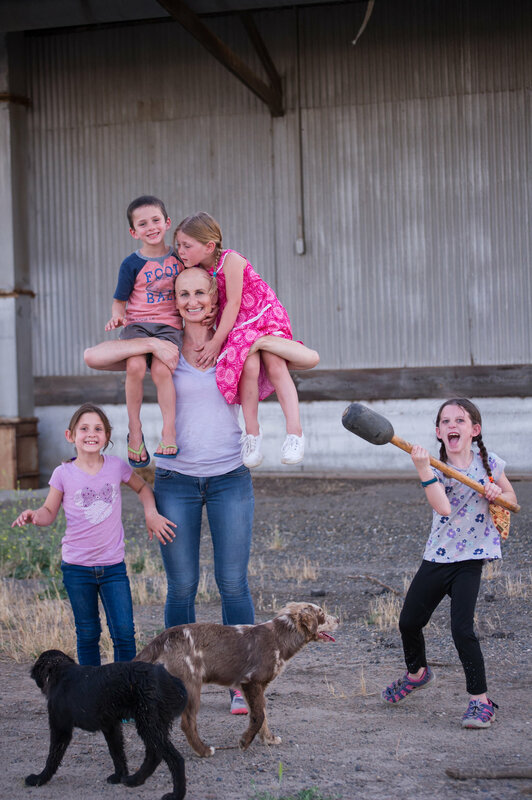 While I will always be a student of life, I enjoy and am honored to teach anything and everything that has allowed me to find success in motherhood, health, happiness and this crazy circus called life.